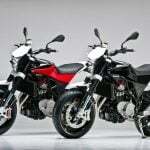 Leave it to a motorcycle manufacturer to create a car that moto enthusiasts can appreciate! 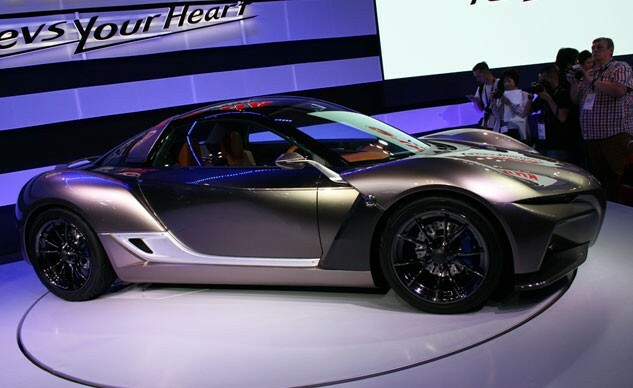 The Yamaha Sports Ride Concept is a lightweight little two-seater with supercar proportions, engineered with a carbon-fiber chassis to keep weight to just 1,650 lbs. 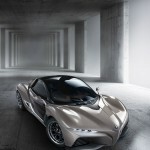 Key to the concept is the iStream manufacturing process developed by Gordon Murray Design. 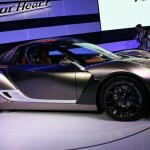 (Murray is the former McLaren engineer who developed the iconic McLaren F1 road car from the 1990s.) 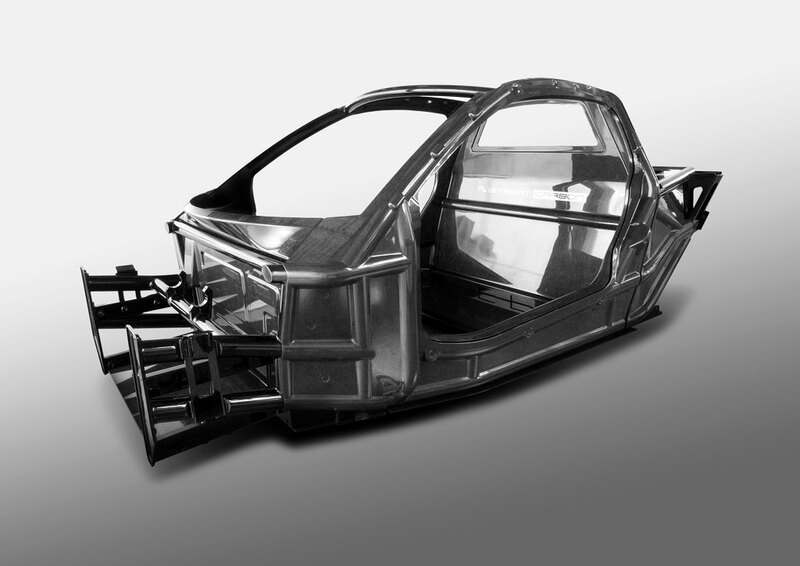 The iStream Manufacturing System, first seen in Yamaha’s commuter car concept from 2013, the MOTIV, here trades glass fibers for carbon fiber to further reduce weight. Yamaha and GMD claim iStream makes it possible to build a range of variations based on this one platform, from urban commuter cars to sports cars and SUVs. 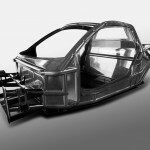 GMD says iStream Carbon is the world’s first affordable high-volume carbon-fiber chassis structure and sets new standards in the automotive industry for chassis light-weighting, rigidity and safety. 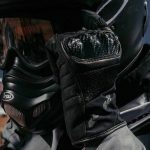 Details are thus far scarce, but Yamaha did release its most basic measurements. Its length (153.5 in.) and width (67.7 in.) are very close to the dimensions of Mazda’s MX-5 Miata, but it’s roughly 2.5 in. lower at 46 inches. 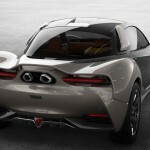 If its stated weight is to be believed, the Yamaha will scale in with 1,100 to 1,300 fewer pounds than a Miata. 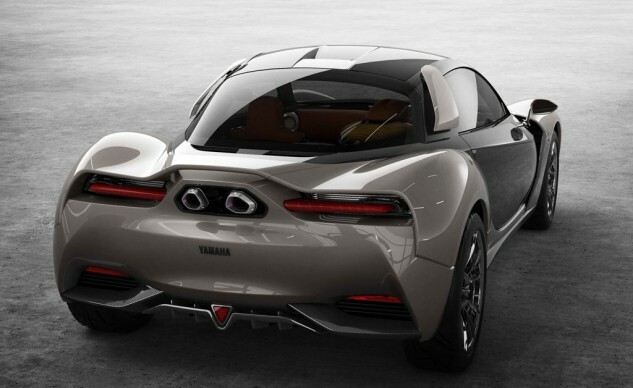 The centrally placed exhaust mounted high mimics high-end supercars, indicating a mid-engine design. 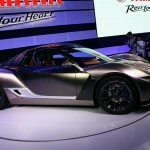 Yamaha remains tight-lipped about which engine is planned for the car. Fairly narrow rear tires suggest fairly modest horsepower numbers – we’ll guess less than 220 hp, perhaps less than 200. Even at 200 ponies, the car’s extremely light weight would translate into just 8.5 lbs/hp, considerably friskier than the similarly massed Polaris Slingshot’s 10.1 lbs/hp, which lacks a roof and a fourth wheel. Seeing the Yamaha logo on a car is an odd sight. The key missing piece of the equation is the engine that would power such a vehicle, the proportions indicating a mid-engine layout. 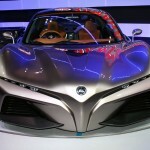 Yamaha has previously co-developed engines with Toyota and Ford, but there was no mention of the Sports Ride’s engine from the car’s unveiling at the Tokyo Motor Show. 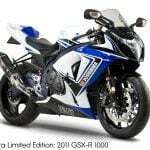 So, for now, allow us to dream of a 2.0-liter V-8 based upon the cylinder banks from Yamaha’s R1 mated to a common crankcase. Somewhere around 300 hp would do nicely! 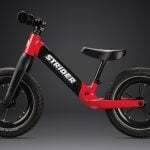 Now all that’s left is to wait to see whether this is a dead-end concept or one that eventually makes its way into production. 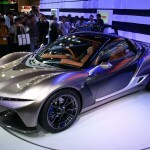 Would you buy a Yamaha sports car like this?